The study emphasizes to examine the causal relationship among CO2 emission, agricultural value added, industrial production, urbanization, nuclear energy consumption, and economic growth across the panel of 59 countries. The data is collected from World Bank database over the period of 1982–2015. For econometric estimations, we have divided the sample into different income groups: low income, lower middle income, upper middle income, and higher income. In case of higher income countries, empirical results have reported the unidirectional causality from agricultural value added to CO2 emission, whereas, bidirectional causality between nuclear energy consumption and CO2 emission. Upper-middle-income countries have confirmed the bidirectional causality between CO2 emissions and agricultural added; however, unidirectional causality runs from nuclear consumption to CO2 emission. 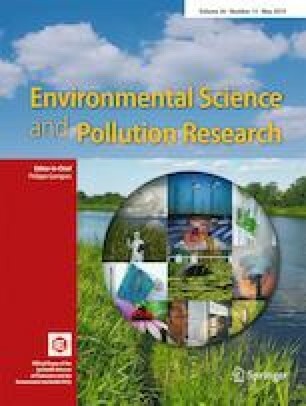 According to Granger causality estimations, agricultural value added and nuclear energy consumption do not cause the CO2 emission in low income and lower-middle-income countries. Long-run estimations have mentioned that higher agricultural value added leads to increase the CO2 emission, in upper middle income and higher income countries. On contrary, in case of low-income and lower-middle-income countries, agricultural value added has inverse relationship with CO2 emission. Higher nuclear energy consumption tends to reduce the CO2 emission, except the upper-middle-income countries. Skaza J, Blais B (2014). The Relationship between Economic Growth and Environmental Degradation: Exploring Models and Questioning the Existence of an Environmental Kuznets Curve. http://papers.ssrn.com/sol3/papers.cfm?abstract_id = 2346173.